The second Build Madison proved to be even more successful than the first. Over 60 people gathered at Sector67 on Saturday and pitched 19 different potential project ideas. Teams formed around 13 of these projects and quickly got to figuring out how they were going to turn their idea into a real product in the remaining 23 hours (live blog). Many participants attended the first Build Madison back in February and were pumped to get started at this event. Sponsors were extremely generous and supportive – we were able to increase the amount of prizes for teams, as well as have an even larger variety of food, drinks, and snacks on hand for participants. There were many great ideas that came together into some awesome projects. 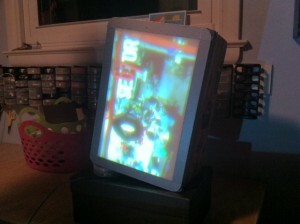 Projects overall were mostly software based, but others involved stepper motors, videos, headphones, projectors, and more. Team sizes varied from 1 to 8 members, and participants encompassed a wide range of skill sets. Some came with an idea of a problem they needed solved and partnered up with other participants that could make their project a reality, others came as a team with a set mission. The projects presented were well executed and very impressive. 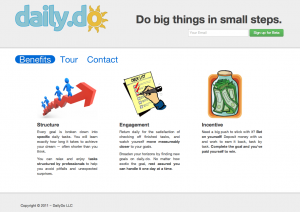 Daily.do helps people accomplish big goals in small steps. Things like buying a house, running a marathon, planning a wedding, or making a PB&J sandwich are broken down into simple daily tasks sent via phone/email/twitter. The task breakdown is provided by both experts and crowd-sourcing. Users can stay motivated by betting $$ on themselves to succeed. They post the bet with Daily.do, then earn it back with each successful task. In the end, if they diligently complete their goal, they win the whole bet back, and the satisfaction of accomplishing something BIG. Daily.do strives to give people the structure, engagement, and incentives to conquer complicated, intimidating, long-term goals. An important component of the federal Race to the Top initiative is the creation of a system to evaluate teachers and principals that includes standardized tests and individualized measurements. 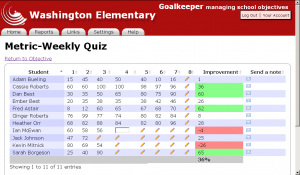 Goalkeeper provides a way for teachers and principals to collect and report data as part of the evaluation system. The application allows teachers and principals to create SLOs, indicate which standard and school and district goals are linked to the SLO, track student progress, aggregate data at the school level, and share progress with individual students and their parents. The system provides for transparency about student achievement for districts, schools, principals, teachers, students and their parents. Boardify is a solution for enterprises, allowing them to cleanly capture information from whiteboards and written correspondence. 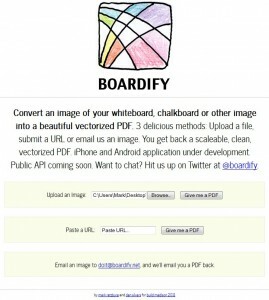 Boardify relies on the users cell phone camera as the data entry point. It eliminates noise, corrects for perspective, and saves the information in an infinitely scalable, archivable, vector image format. By generating an industry standard PDF file, Boardify allows the modern worker to easily share the information with their coworkers or integrate it into other information management solutions like Microsoft OneNote or Evernote. Charges can be made on a time or number of views based subscription basis. Users can set site and global settings to auto-approve transactions under a certain amount. Users and content providers can see all of their transactions and can dispute and refund payments. Uin is an Android application that makes it easy to organize casual and spontaneous social gatherings. Guests can receive invites, respond to invites, and view event details via SMS, making the RSVP process platform agnostic. Uin takes the hassle out of organizing spontaneous events, allowing users to do more stuff with more people. Zombie Craft is an online multiplayer zombie survival game that you can play through your web browser FOR FREE! Collect resources, build turrets, and protect villages, while keeping your health in the positive and slaying green dinozombies in this fantastical post-apocalyptic/medieval world. My goal was to build a projection mapping system that could correctly project an image onto a surface which is not aligned with the projector. I built a projection surface with sensors in each corner, and created software that used “structured light” to detect where these sensors were from the point of view of the projector. At the conclusion of Build Madison, the system could show where the detected corner positions were. Since then, I’ve added the calculations to warp the image so it aligns with the surface. For this project, I used Microsoft Visual Studio, the C++ programming language, the OpenGL graphics library, and the OpenCV open source computer vision library. 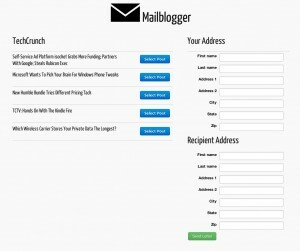 Mailblogger.com turns the contents of any blog post or RSS feed into a physical letter. For only $2 we will format, print, and mail the letter to any address. We were happy to find that our first two customers bought letters during our Build Madison demo. Mailblogger was created entirely during the 24 hours of Build Madison, built on Ruby on Rails, and hosted on Heroku. The service is live and fully functional. Zach Gohr and I worked on project 14, which is servey.us (or quick survey). The point of servey.us was to utilize node.js along with sencha’s frameworks for both desktop and mobile to create a way for companies to quickly and intuitively create surveys, and for customers to quickly and intuitively answer these surveys. Each survey has its own unique URL which would be embedded into a QR code. 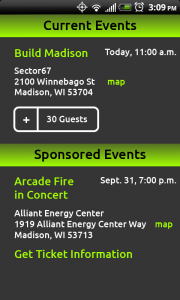 The Build Madison Web 2.0 Idea Generator is a crowd-sourced, on-demand rapid project idea generator. The web application randomly generates usable ideas from a pool of tech buzzwords submitted by Build Madison participants. It utilizes organic affiliate widgets that connect to a microblogging friend finder algorithm, while maintaining an unbelievably location-aware blogosphere. These features provide semantic carbon positive semi-automatic mashup possibilities extending from crowd-sourced digital craft breweries to award winning semi-automatic obscure robotic video games. Car_App is a project management software as a service website for independent autoshops.